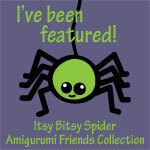 The Itsy Bitsy Spider Crochet: Feature Friday: Oh, Dolly! 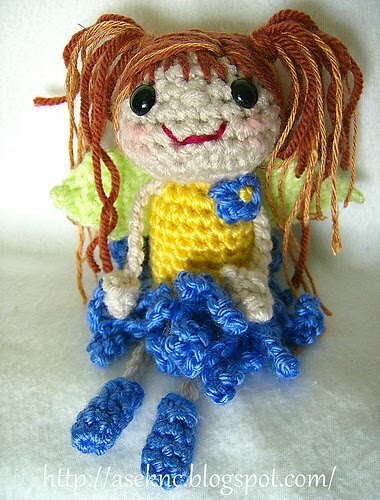 Agnes, by Froggayler, was one of the first dolls to show up in the group. 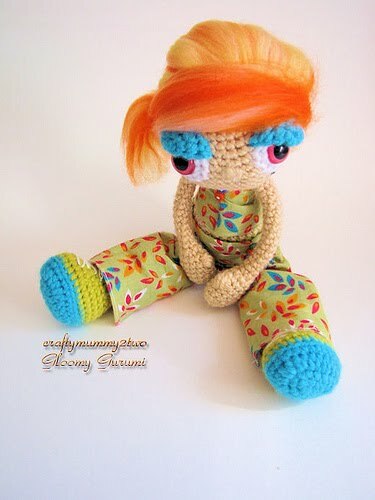 I love that Angnes's clothes are all crocheted and she has absolutely fantastic hair. I never thought about using a hand-spin type yarn for har, but the different weights really do make for an awesome style! Next, I found some adorable fairies by my blog buddy Anita over at ASEKNC.blogspot.com. There's just something about the innocent little faces on Anita's fairies that makes you want to snuggle them all up. By the way, if you'd like to try your hand at making one, the pattern is available from Anita's blog! Last, but certainly not least, I've seen some awesome dolls popping up from Gloomy Gurumi (AKA craftymummy2two). I just ADORE all the personality she packs into each doll -- filling them with amazing little details and perfect little outfits! That pretty much does it for this week, but I'm already looking forward to seeing what makes its way into the Flikr group next week. Thanks to everyone who participated - I hope you'll spread the word and celebrate with this special blog badge! Oh my goodness, talk about cute! I love the "granny" crocheted skirt and jacket on Agnes and I am in love with that precious doll from Gloomy Gurumi! 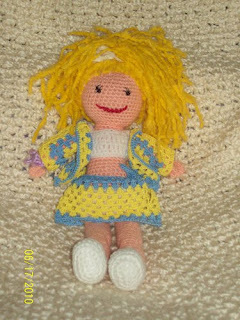 I hadn't even thought about NOT crocheting the clothes on my dolls, the fabric clothes look so good! Thank you so much for the feature my friend. You really made my day!